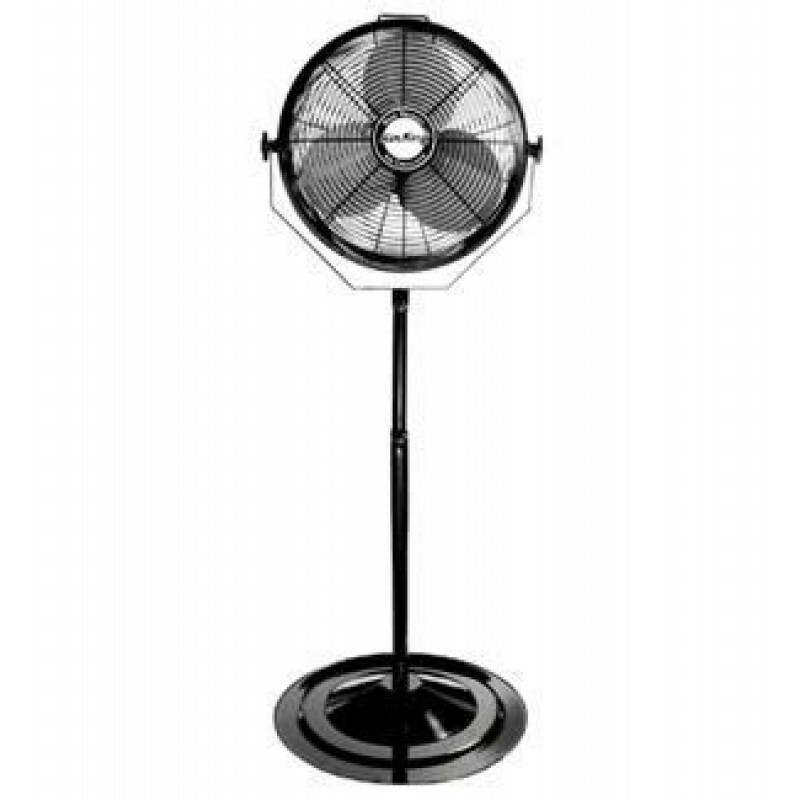 Air King is one of the leading manufacturers in pedestal fans and drum fans. They are very familiar with the manufacturing industry, so they make a very heavy duty air circulating fan on a stand. This particular fan must NOT be used in any potentially dangerous location, including flammable, explosive, chemical-laden or wet atmospheres. This Air King 18" air circulating stand fan features a 3-speed rotary knob for turning the 3-paddle fan blades on and off. With variable height adjustments, this stand allows the fan to reach new heights where circulating air was previously impossible in your facility. This Air King fan has a permanently lubricated motor with a 9 ft. 18/3 power cord. Air circulating stand fan is constructed of sturdy, powder coated steel. A height adjustment allows you to go from 52" to 62" tall for circulating air. ETL & OSHA compliance make it safe for use in any type of facility. This is a review for the 24" Air King Air Circulating Fan on a Stand - 3190 CFM.